Hosting a poker night is a great way to spend an evening and if you and your friends enjoy it, it can become a regular occurrence. You won’t need much to host the perfect poker night except decks of cards, chips, a good-sized table, and plenty of snacks and drinks of course! 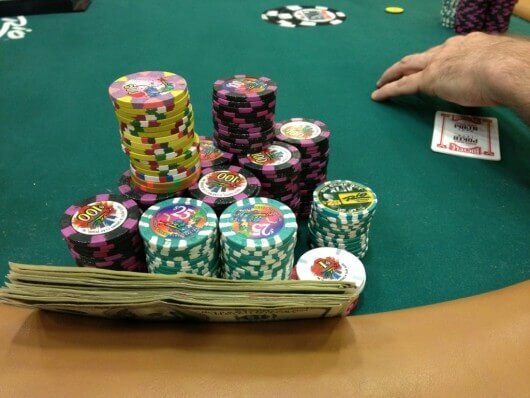 Here’s everything you need to know about establishing a regular poker night. While hosting a poker night seems simple enough, you need to make sure that you have everything needed to play poker including multiple decks of cards, chips, and a large, sturdy table. You should also consider creating a playlist for the evening to set the mood and decide if you’re going to supply snacks and drinks for your guests or whether every person should bring what they want. As the host of the poker night, we don’t suggest asking your guests to help you play the game. If you’re serious about hosting, you should absolutely learn everything there is to know about poker before sending out the invites. Fortunately there are plenty of resources online to help you learn all the ins and outs. Once you’ve sent out the invites, you and your guests need to decide on the level of play. While there may be a few guests who are well-versed in poker and major fans of betting sites, you’ll likely also have novices in the group and it won’t be a lot of fun if they get knocked out on the first hand. Decide on the level of intensity and don’t allow the more experienced players dominate from the get go. While using a real poker table adds to the excitement and real-feel of the evening, purchasing one can be a costly exercise. Fortunately, it isn’t really necessary to purchase one and any large table will do the trick. If you would like for it to be more authentic, you can always purchase a felt table topper, but you shouldn’t skimp on the chips. We suggest purchasing a 500-chip set. If you plan of the poker night becoming a regular occurrence – either weekly or monthly – you will need to be consistent in your plan. If you decide on every Friday night or every 1st Saturday of the month, be sure your friends are all aware of the plan. If not all the guests can make it, don’t cancel or move the date, rather invite friends from a different social group or have guests bring along some new faces. A poker night can take several hours to be concluded and you’ll need to ensure that your guests are well fed and watered throughout the night. You’ll need to establish whether you will cater for your guests, whether they will bring along their own snacks and beverages, or you can always keep it simple with pizza and beer.